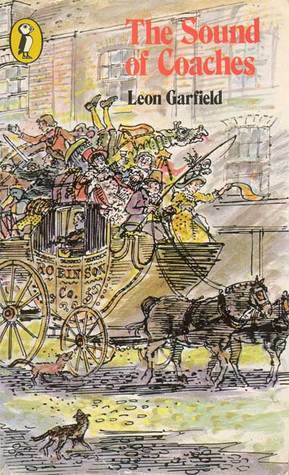 The Grub Street Lodger: Leon Garfield -Trips into the 18th Century. Leon Garfield -Trips into the 18th Century. This month I’ve been focussing on a slightly forgotten children’s author from the 60s called Leon Garfield. He’s interesting to us because he sets many of his works within our favourite century, it also helps that he is very, very good. I wasn’t intending to spend a month reading the guy but they say one good book deserves another and I got hooked. We’ll go through them in the order he wrote them rather than the order I read them. Be prepared, we’re going to meet a lot of Jacks and Johns on this journey. 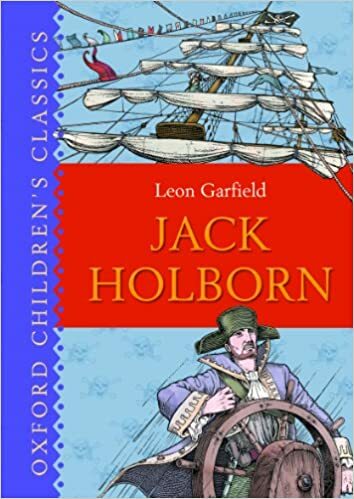 Jack Holborn is an orphan, apprenticed to a cobbler (a fact that puts him off shoes for life) who runs away and stows away on a ship called The Charming Molly. Unfortunately for him, it’s attacked by pirates and he is discovered. This starts a journey all around the world, taking in dangerous swamps, strange natives, incredible treasure and a trip to a slave market - where they have to buy the captain back. But there is a twist at the end - and the twist is bloody stupid. I won’t give it away but it is the worst, schlocky kind of nonsense. What’s more, the characters aren’t all that. Jack Holborn himself is rather bland, to the extent that even the narrator points out how unextraordinary Jack is. The Pirate Captain is sort of mysterious in the most normal way and Morris is your typical sturdy first mate. Only the character of Trumpet is interesting, he is a tricksy man, out for his own self but ultimately good at heart. …So why did reading this book make me want to spend a month reading other Leon Garfield ones? It was the writing. Usually, a person’s writing by itself is not enough to reel me in but Leon Garfield is a wonderful writer. 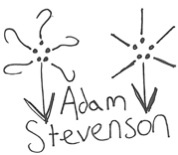 He has this wonderful way with similes, often giving an over-the-top comparison that is a little cartoony. He also has a lovely way of slipping in wonderfully sharp jokes - here’s an example. I wanted more of these gems and I hoped he’d be able to match this to a better plot. The second he wrote, though not the second I read, this did have a better plot. George is a member of the Treets, a travelling acting clan of self proclaimed geniuses. The only problem in their life is The Stranger, who comes twice a year and gives them money, leaving the usually ebullient Mr Treet down in the dumps. When the strange stops coming, it is revealed that George is not a Treet at all but the long lost son of the Dexter family. The father Dexter had been shot by his brother, the man considered responsible for snatching George at a young age. George than has to find out who he is, how to fit in higher society and what secrets lurk within the pale, sinister Dexters. Though starting a little slow, things get very good in the middle. The fog is not only a literal one rolling off the South Downs but the question of who to trust becomes the real fog. Garfield builds up a genuine sense of confusion and dread. The solution to the mystery isn’t that bad either. This taught me a valuable lesson about establishing group dynamic. The Treets are wonderful bunch, convinced that they are geniuses and affirming it to each other. There is also the word ‘we’ which is used judiciously in the first section - making George being taken away all the more poignant. This book had one of the best protagonists in any of the Garfield books, George’s sense of himself keeps him strong throughout the story. This one is about a pickpocket who steals a piece of paper from a gentleman who is then killed, for the paper Smith now has. Unable to read, he needs to find out what the paper says and what he can do about it. 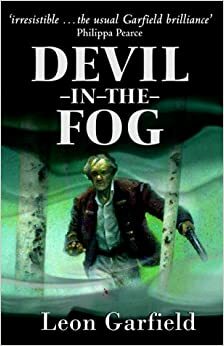 A slower start than some of his other books, but it truly picks up once our hero, George, is lost in the fog. Throughout the middle of the book nobody is clear, all actions and intentions are murky and trust is thin and sparing. Even the book's final chapter, where the mystery is laid out, is interrupted by multiple interpretations and viewpoints. 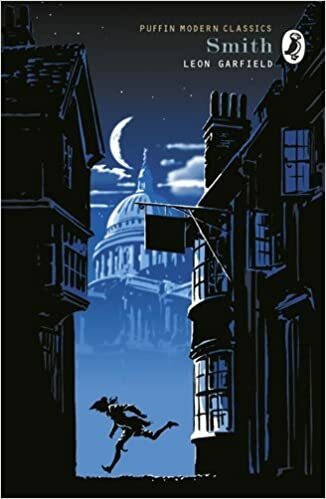 Smith started out as a stronger Garfield protagonist, his street smarts and skill at weaving in and out of 18th Century London’s mazes and warrens made him a character of true agency. His teeth were rather pulled out in the middle when he was practically adopted by the Blind Judge Billings but he got it back a bit when imprisoned in Newgate. His Newgate escape is particularly good, taking in some choice Jack Shepherd tropes and ratcheting up the tension with real skill. Again, the mystery of the stolen paper was a little weak but we’d had enough fun on the way to forgive that. Absolutely brilliant. I said about Jack Holborn that his style needed to be married to a decent story - this was it. It starts evocatively with Mrs Gorgandy the ‘new mint widder’. She spends every day pretending to be the wife of the recently executed so she can sell the body to the atomists. At the beginning of this book, she was obtained the corpse of Black Jack, a man so huge she uses young Tolly to help her carry him in. She then leave Tolly with the body while she goes to drum up custom. This is when Black Jack awakes, having swallowed a metal tube to keep his airways open. He bashes about, complaining that he is ‘weak and helpless as a babe’ and not reached his ‘full strength.’ As he bashes about he pulls the metal bars off the wall and abducts Tolly. 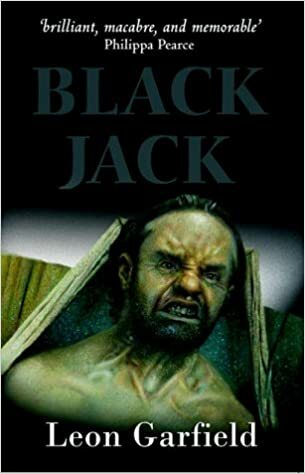 Tolly and Black Jack find themselves in a moving carnival, shacked up with a mounteback who’s face promises great things his brains can’t deliver. Told falls out with Hatch, his hate-worthy apprentice and they also find Bella, who was displaced in a carriage accident and on her way to Bedlam. Tolly and Belle start to fall in love and Belle gets better, but Hatch has plans that will lead to Bedlam after all…. There were quotables throughout this book, from a description of a body washed up on by the sea with ‘an air of ‘is this yours? I don’t want it’, to the scar of a hanging denoting that the recipient was being ‘returned to his Maker with a complaint’. It’s a brilliant book and, in reading this one second, I was hooked on the quest for another. This is a collection of three short stories and they all show that Leon Garfield is a very good writer. I was particularly impressed by his use of repetition. He knows how to repeat words to make them funny, moving, serious and more. I can't think of any writer who can use repetition with such keenness and finesse. 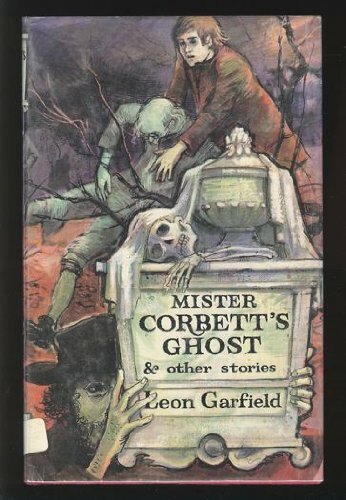 The first, Mr Corbett's Ghost, was about a boy who so wished for his master to be dead that when the master did so, his ghost followed him around. The phrase mainly repeated was 'heart and soul' - the master wanting the boy to put those into his work. In being haunted by the lost, lonely soul of his hated employer, young Benjamin learns what is in the employers heart and soul and it touched him greatly.. The second story was about a great painter embarrassing his apprentice when he goes to paint a sea battle in-situ. The painter is a real dingy, cowardly man but good with a brush and the story makes a point about what glory may actually be, and how great talent can be wrapped in dingy packages. he third, another story with soul selling, was about love getting the main character both in and out of character. He was sentenced to transportation and unwillingly becomes part of a mutiny after he falls in love with one of the free passengers on the ship. This also included scenes I've never read in a sea story; such as being locked in a hold with a bunch of loose fetters flying about and a marvellous description of a ship with its sails furled being like a house with the roof opened. These short stories were probably my second favourite Garfield books after Black Jack. A very, very unusual book. 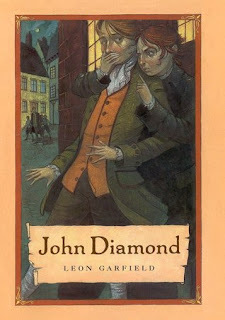 Unlike all the other Garfield books I read, this one is not about a young boy in the 18th century but about a young man in the 20th. The man falls in love with a librarian but unable to speak properly to her, hands her an extract from a 19th century novel about love. She later hands him a different extract back and so it goes, the 20th century love story only proving as a frame for love extracts from 19th century novels. I very much enjoyed most of the extracts (only having read Madame Bovary in the original novel) and it added a few more books to the list of those I would like to read…but the frame story was a little weak. The extracts chosen seemed to highlight how opposite the young man and his prospective lover were, they duel through extracts, they so not woo. It’s amazing how un-loved-up this book of extracts of love scenes made me and it left me feeling that the young man and the librarian were not going to be together for very long. If anything, it would all go to pot the minute they opened their mouths and actually spoke to each other. The best of his later books and maybe my second favourite overall. The Sound of Coaches uses the familiar Garfield tropes of the child of low social standing and mysterious parentage trying to decide his loyalty - but its done very well. First of all, this in the only novel set (at least partly) around the life of the coachman. That whole eighteenth century subculture of roads and constant movement was one I hadn't considered before and seeing it through Garfield's evocative eyes was very enjoyable. This is also one of his most adult books, there are lots of moments of reflection. The whole second half of the book is set amongst touring actors and asks quite interesting questions about how we live in reality and in dreams - and what an actor's life, where the dreamworld of the stage has so much vigour than reality, does to a person. There are other lovely touches, like a few character where the main character, Sam, is drunk and lordly refers to himself as 'one' in his own internal monologue. There's another part which is narrated from the baby Sam's viewpoint - not in terms of language but in terms of understanding (where he frequently gets irritated that all his attempts to communicate are followed by being fed). Finally, the ending is very different to the usual one - no axe murders or gunfights here, things just shuffle themselves into a new status quo. It's not a climactic ending but it manages to be a satisfying one. By far the weakest I read. His protagonists have all been a little see-through compared to his other characters, but William Jones is particularly ineffectual. What's more he is narrow, a little cruel and extremely stupid. I didn't like him very much at all. Unusually, the book was narrated by William in a very self-conscious way. There was plenty of direct addressing to the audience and intimation of what was to come, it made the book seem a little tawdry. Also, the usually sparking squibs the other books have been peppered with fell flat. Partly this was because of the direct narration and partly it was because they were more like dad-jokes than proper jokes. There was one part where William narrated that someone threw a bucket of water at him - then clarifies that it was only the water that was thrown and not the bucket. This is a long way from the discussion of a storm's poor arithmetic in Jack Holborn. Finally, the mystery didn't really change anything. When it was solved, the characters were much the same, and in the same positions as they had been before. I couldn't really understand why two of the characters had made it mysterious in the first place. I wouldn't recommend this particular Garfield novel, but it's the only one I have read so far that disappointed.